Here’s your chance to get an early inside scoop of the LSJ’s January magazine, hitting area news stands on Tuesday. January’s cover features the point guard of today’s hottest area prep basketball team: Reeths-Puffer’s Kaleb Mitchelson. The Rockets’ 10-1 start has surprised a number of area fans, as has the success of three other teams: Orchard View, Ravenna and Hart. The early sprint into the 2018-19 prep hoops scene, traditionally dominated by a handful of area programs, is the reason January’s magazine is titled A Breath of Fresh Air For Prep Basketball. LSJ readers also get an update on Luke Anhalt, the Fruitport Calvary Christian basketball player who suffered cardiac arrest during a December practice. Anhalt’s life was saved by the school’s AED machine and the quick actions of his coach, Jeffrey Zehr. The incredible Brandon Bucek delivers an early message of inspiration for 2019. Bucek has Down Syndrome and has used his passion for sports since an early age to push himself to success in all areas of life. 2016 North Muskegon graduate and four-sport standout, Erick Bleakey, has found a new favorite sport at the Naval Academy: Rugby. The 6-3 Bleakley fought his way through the ranks of Navy’s rugby program and now stars at the wing position for the Midshipmen. Click the above cover image to get an early look at the LSJ’s January magazine. Look for an update early next week to find the location nearest you to pick up your free hard copy edition. 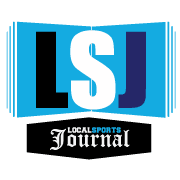 To advertise with the LSJ, call Jim Goorman at 231-206-4458.